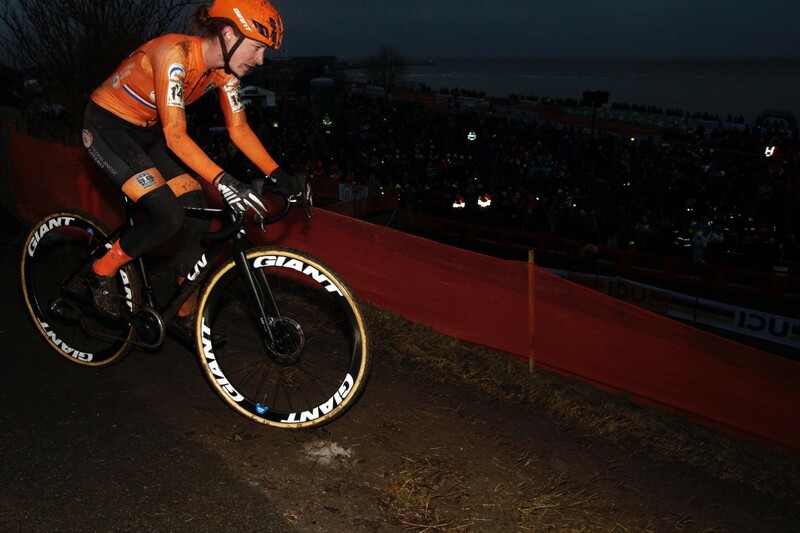 With Lucinda Brand, Marianne Vos, Annemarie Worst and Denise Betsema the Dutch team has 4 potential winners. 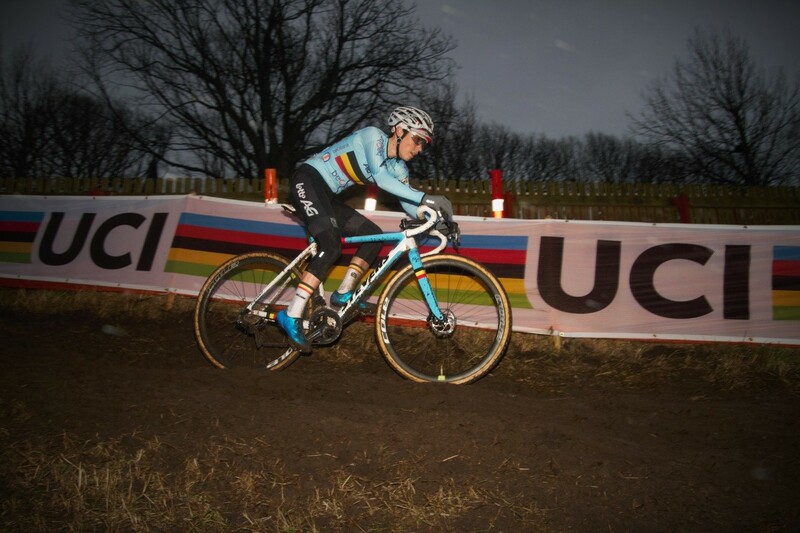 Denise started the attack, followed by Annemarie, and the only foreign followers were Sanne Cant and Jolanda Neff. 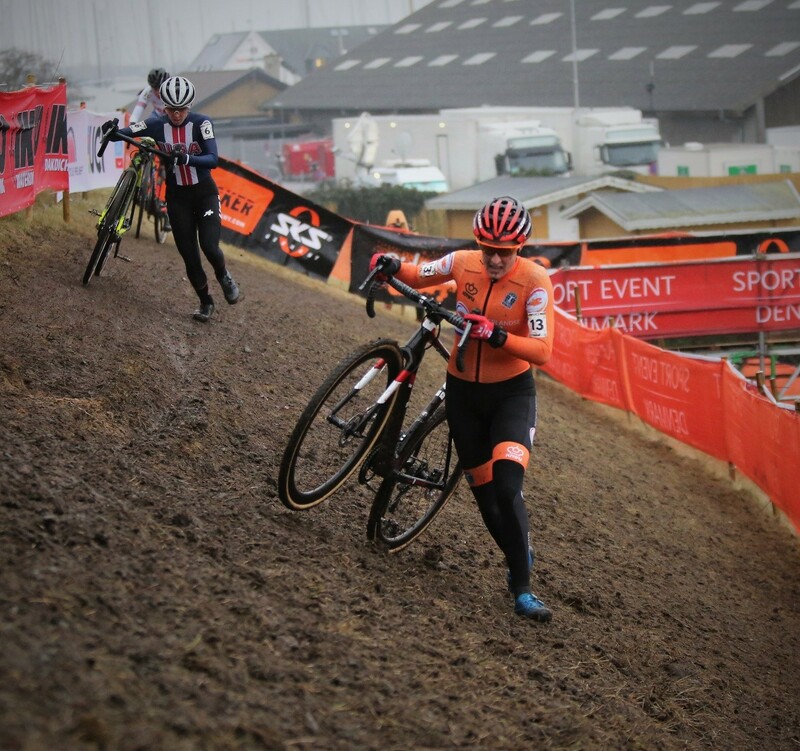 When Jolanda slipped in round 4, Sanne has to compete against four dutch girls with still 3 laps to go. 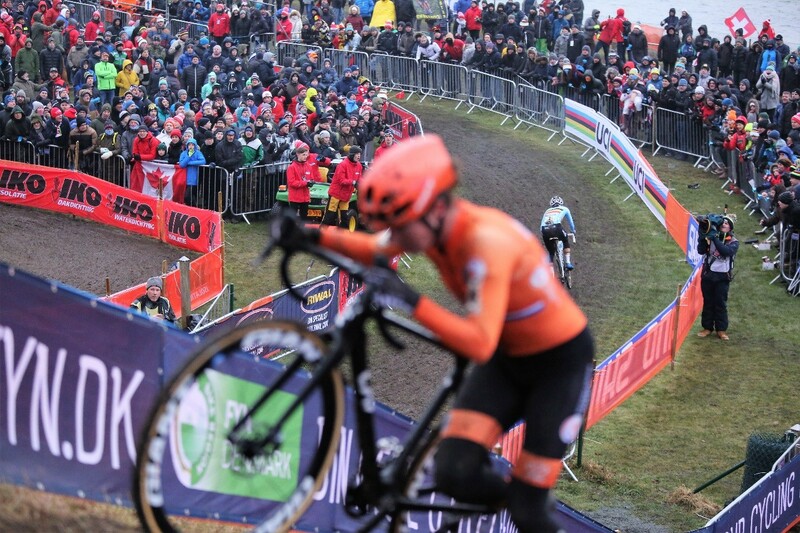 When Lucinda had problems in the pit, and crashed, Sanne got a small gap. Marianne and Lucinda did their utmost best to fight back, but they never succeeded. When Lucinda slipped, the victory for Sanne was save Cant won here third rainbow jersey in a row, Lucinda Brand was the dissapointed number 2, and Marianne Vos was the 2nd Dutch womand on the podium with a 3th place.